Small stones have been gathered and are used for play. Little bits of dry wood, branches and twigs are there for making things. 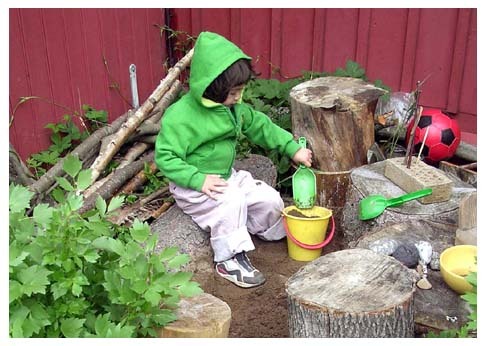 The solid frame for the sand pit consists of tree trunks in all shapes and sizes, that are inviting for balancing and mini-climbing.